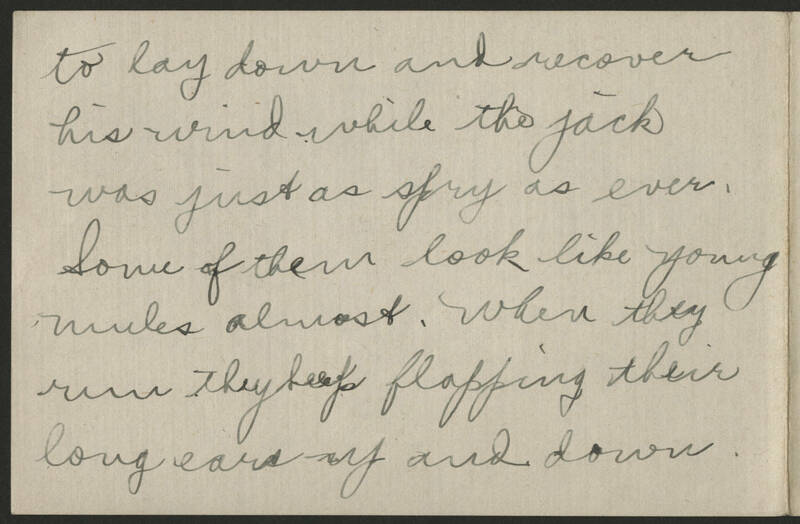 to lay down and recover his wind while the jack was just as spry as ever. Some of them look like young mules almost. When they run they keep flapping their long ears up and down.